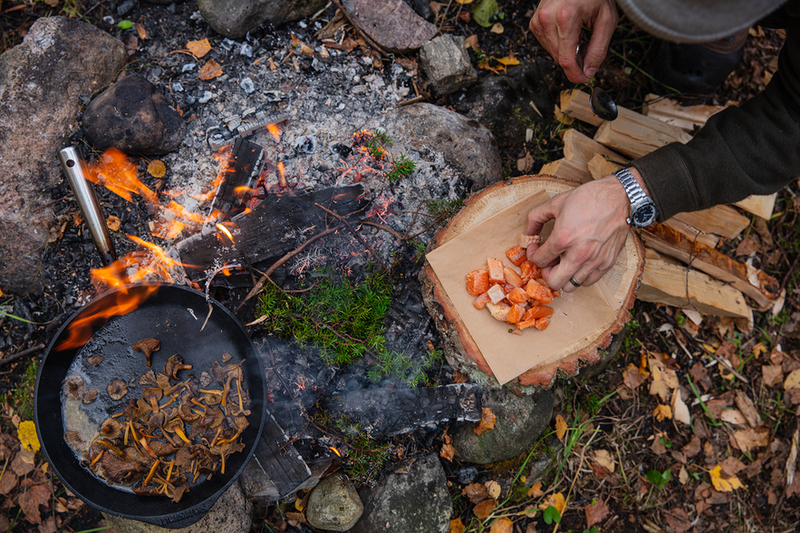 Why pay top dollar at a Michelin-starred restaurant when you can forage for your own meal in the forests and rivers of Sweden? It might seem like a lot of hard work but Sweden is trying to entice hungry tourists to visit by inviting them into "the world's largest gourmet restaurant" and take a big bite out of their delicious -- and nutritious -- landscape. The new Edible Country initiative offers "100 million acres of fine do-it-yourself dining" where you can literally pluck ingredients from a bountiful Scandinavian forest, cook a world-class meal yourself and then sit down to eat it at one of these very 'grammable tables around the country. If the idea of getting up close and personal with nature doesn't completely scare you off, you can book your own table from the Edible Country website. There are some seriously stunning locations all over the former land of the Vikings including Arjeplog in Swedish Lapland, Ramsvik in West Sweden and Utö, an island that's just an hour away from Stockholm. Then, you can rent a cooking kit to help you prepare the menu items that are available to download on the website. READ MORE: Are You Guilty Of These Instagram Sins? The recipes sound very much like something you'd chomp down on in neighbouring Denmark's Noma (aka the restaurant that's been named number 1 in the world four years in a row). For example, the fire grilled whitefish with green leaves served with young dandelion leaves, ground elder, wood sorrels and white birch leaves -- which sounds a lot like it could be the ingredients list from a Harry Potter potion. Or perhaps you'd like some warm wild berries with smoked butter and meadowsweet (a type of mint) with cordial. The new travel initiative is also aimed at making people think about making healthy choices when it comes to their diet. "We hope to inspire people to eat healthier and choose more locally produced food. Healthy food is often perceived as complicated, boring or inaccessible, but in Sweden it can be found just around the corner -- in our nature," the site reads. Of course, there are certain risks involved with sampling from nature's supermarket. "Since there are mushrooms and plants that are poisonous in the wild, you should never eat something that you aren’t 100% sure of," the Edible Country website wisely reads. Main Image: Facebook/Visit Sweden/August Gellert.